I was working as a coach for an agency that was contracted by another agency to support 25 child development center program directors (who I considered to be my primary clients) in the process of developing and implementing quality improvement plans over the course of 15 hours of coaching visits beginning in October and ending in May of last year. During my initial meeting with program directors I would review information about the coaching services their agency had contracted with my agency for me to provide. I emphasized how important the process of developing an understanding of the conceptual underpinnings for their choices would be, since the goal was not only to improve scores on program assessments and measures of child outcomes but to further develop each participant’s capacity to prioritize, and articulate a coherent rationale for program decisions long after the conclusion of coaching services. 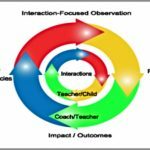 Our theory of action was that focusing attention on understanding “why” the practices they were implementing were important would lead to lasting change by informing “what” they did to reach their desired outcome in a way that simply focusing attention on what to do or how to do it would not. During our initial session, I made it clear to my clients that I was not there to tell them what to do, but rather to ask questions designed to explore their ideas about approaches they could use to help their teachers develop the capacity to use data from observations to make a positive impact on outcomes for children and families. 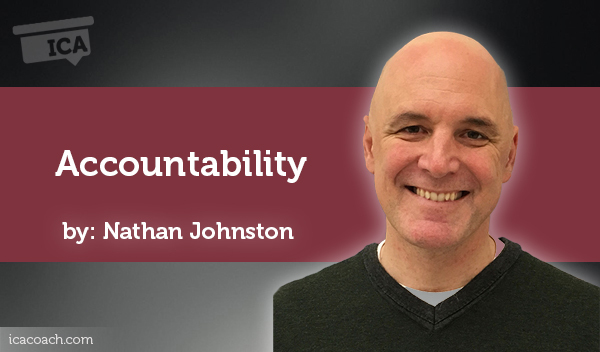 Accountability was a challenge in my coaching sessions with this group because the clients were expected to participate in coaching as part of their job. The contract was between their employer and my employer, rather than between the client and myself. Both of us were expected to complete the coaching plan as a requirement for our employment, so both parties were put in a position to ensure that external measures of success were met regardless of how committed a client may or may not have been to making changes in their practice. This had been a problem since before I started work as a coach for this program. The worst thing about it was that I was put in a position of determining whether a client had met the requirements of the program, and their eligibility for a cash stipend. If a client did not complete the requirements indicated in the contract between their agency and my agency it was relatively easy for them to evade responsibility by claiming that I had not provided the guidance they needed to be successful. On more than one occasion, this created an an ethical dilemma that I addressed by working with my supervisor to determine how to document what the client had done in such a way that the letter of the contract was met while the spirit was not. It seemed like I was the one who was accountable for my client’s success rather than them. Even my supervisor was more accountable for ensuring that the required number of coaching hours and quality improvement plans were completed more so than my clients. 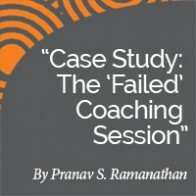 My supervisor had a vested interest in making sure that clients did not complain to their employer because that may have resulted in their employer complaining to the agency that provided funding for my employer to provide coaching services, and created doubt as to the effective management of the entire coaching system. No one had been able to solve the problem because the theory of change presupposed that all employees in director positions were both necessary and willing to create improvements in program practices, instruction, and child outcomes. Both of those criteria were not always met, so the theory of change didn’t work out so well in practice. The system was designed so that the coach was expected to enforce the completion of requirements and report when they were not met. This impacted the dynamic of trust within coaching relationships. Both coaches and clients had a vested interest in presenting superficial changes as evidence of the program’s success because their jobs depended it. 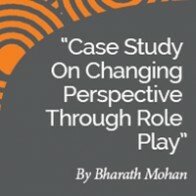 Still, with the philosophy being that real change would only be possible if clients developed a deeper understanding of why they were choosing to implement some practices (indicated to be best practices by research or theory in resources provided) rather than others, the program did support what I would call real change for clients who held themselves accountable. Now let me explain how I could have helped one of my clients effect real change if they had been willing to hold themselves accountable. I believe that I did what I would be expected to do following the ethical guidelines of the International Coach Federation. This provided my client with the support she needed to achieve her desired outcome if she chose to do so. One of my clients demonstrated some resistance to participating in the program. During the first meeting after our introductory session I asked her what she wanted to focus on and she said she didn’t care. She explained that she didn’t need any help because she already knew how to run a child development center, she was bored with her job, and that she didn’t plan on doing it much longer. I was direct in communicating that it sounded like she might want to use our time together to focus on what steps might lead to her finding a job that she was more interested in. I asked what she wanted to accomplish through the coaching process, what results she would like to achieve in planning to meet together over the course of the next few months. She indicated that she was interested in receiving the stipend available for participating in 15 hours of coaching and implementing a quality improvement plan. In response to further questions, she stated that she was interested in implementing a quality improvement plan that would help her develop transferable skills that she would be able to use as a supervisor in a residential care setting for teenagers involved in the juvenile justice system. Once that was established, I proceeded to guide her through beginning a process for her to achieve both of her goals, to earn a stipend for completing a quality improvement plan with her staff as well as the required number of coaching hours AND to develop transferable skills that would prepare her to work as a supervisor in a residential facility for teenagers in the juvenile justice system. During each subsequent visit I would hold her accountable for decisions she made in the previous session, while allowing for flexibility in terms of what she wanted to focus on in the present. First we reviewed the language of the quality improvement planning form she had yet to complete. We reviewed resources from her agency to clarify the definitions of each of the three focus areas on the form. Initially she stated that she was already doing everything that was addressed in the focus area definitions. Asking her to tell me what she thought was important about each of the focus areas, asking her to evaluate what she considered to be most important from among the focus areas, and prompting her to develop desired outcomes and approaches to achieving them helped to move the process along. Over the course of the next year, I worked with her to prioritize which core focus area from the quality improvement planning form she wanted to address during each coaching session, describe what she wanted to achieve in that area, describe why it was important to her, and describe how she would know that she had achieved the outcome she desired. Each core focus area included two or more “pathways” for using data to inform decisions to improve the program and outcomes for children and families. I am going to describe her progress in developing action steps for achieving outcomes in one of core focus area as a way of illustrating the challenges I encountered in the process of supporting my client in achieving the goals that she said she wanted to achieve. The core focus area was called “Program and Environment.” It consisted of three “pathways”: Environment, Program Administration, and Family Engagement. Using the criteria from Talan & Bloom’s Program Administration Scale, and Harms, Clifford, & Cryer’s Early Childhood Environment Rating Scale – Revised as a guide, I engaged with my client in a dialogue where she came up with an approach to improve her communication with families. One of her desired outcomes or objectives was to introduce an interactive lending library system for parents to take home learning games to play with their children. My client’s plan was to leverage parent/child interactions to support the development of skills that could then be tracked, measured using the Desired Results Developmental Profile. This would be a way of engaging families in discussing realistic goals for their children’s growth and development in a meaningful way during parent conferences throughout the year. Mindful that the purpose of our coaching sessions was for my client to develop an understanding of the conceptual underpinnings for any action steps taken, I asked her to use the criteria we had discussed to describe her rationale for implementing her plan. She described her proposed action steps and rationale with enthusiasm. I took notes of her description verbatim, and posted them to the coaching log she had access to online within 24 hours. The next time we met, I was excited to follow up on the action steps she had described with such enthusiasm at our last session. As usual, I began the session by asking her what she wanted to focus on in her quality improvement plan for that meeting. 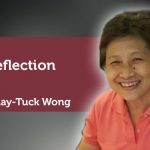 When she was hesitant to describe her wishes, I drew her attention to the action steps she had committed to in the coaching log describing our last coaching session and was surprised to hear her say she didn’t know why we were “doing any of this” at all. I pointed out that she herself had described the reason she thought the steps that she had committed to would be important, and brought her attention to her own words as I had typed them verbatim in the previous session’s coach log. This definitely diffused what would otherwise might have been a tense conversation, where I might have found myself searching for words to justify the value of “doing any of this” coaching at all! I have provided here a representative sample of the interactions that occurred in the coaching process with this client. In the final example, while she demonstrated willingness to discuss the action steps we had agreed upon during the previous session once she had reflected on her own rationale for suggesting them, she demonstrated resistance to following through on the action steps. She stated that it wasn’t in her power to complete the steps on her own. When we explored what was in her power she suggested that she could discuss what she wanted to do with the faculty director who supervised another child development program in the same facility. When I followed up on this step during a subsequent visit she stated that she hadn’t spoken with the availability of the learning games for families to take home instead. Similarly, she resolved to reduce the scope of her action steps in each of the other focus areas of her quality improvement plan. In one case she, reduced her ambition to making three journal entries on a topic consisting of fewer than fifteen sentences. Ultimately, I don’t think of the coaching presented in this case study as being effective in supporting this director in improving outcomes for children or the quality of her program. Regardless of her position, the client did not feel like she had the power to act in numerous instances. While she admitted this in some instances, she was not willing to explore how she could expand her power. Instead, she chose to take as little action as was possible, doing the bare minimum to “check the box” and complete the requirements of the coaching program. It did not appear to me that she was invested in her own success beyond earning a stipend. If my job had not depended on my continuing with her as a client I would have terminated our coaching relationship at the beginning of the 15 hour program, and given her the option of working with someone else who she might have been more comfortable working with if possible. I would have been honest with her in explaining why I didn’t believe it would be worth her time or mine to continue a coaching relationship after she expressed a lack of interest in the process. I will share the insight gained through examining this case during the interview process for future work as a professional coach in the field of early care and education. I will propose a theory of change that focuses on intrinsic motivation with a logic model that separates coaching responsibilities from responsibilities for program monitoring, and discuss process-focused criteria for ensuring accountability in the coaching process rather than outcome focused criteria with the expectation that better outcomes will result form better processes. 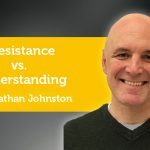 The top three things that I learned from this experience are the value of direct communication with clients, honouring their choices, and documenting the rationale they have for their choices.